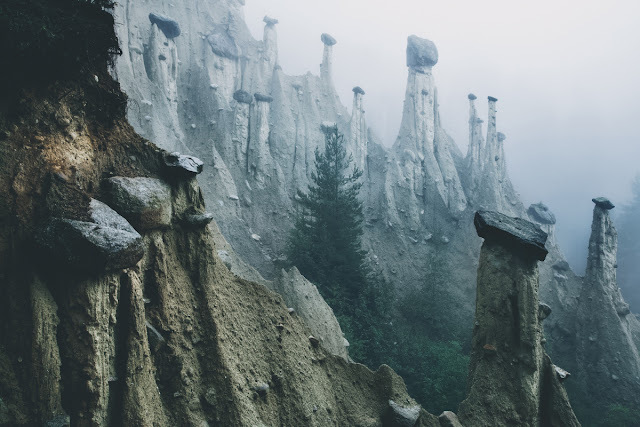 "One of the strangest landscape elements of the Alps are the so-called earth pyramids of South Tyrol. Especially during foggy conditions these pillars appear like from another world. 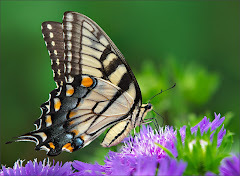 I spent several hours on-location to capture the change of colors and light from dawn till noon." Photo credit Kilian Schönberger from a gallery of impressive images. Many of the other galleries at his website are awesome as well. Straight out of Dr. Seuss! I guess these structures are created by erosion of the underlying ground except on those places where rocks happened to be lying around. You sometimes get the same effect with shells on the beach.